Patagonia goes to Whitewater for 2,000 vertical feet of Backside Bowl bliss, which most days translates to mean, damp cold. The Rubicon combines tough shell fabric and stay-warm-when-wet insulation to keep you warm and comfortable out there while everyone else is holed up with a latt and chili mac. The exterior is made of durable, 100% polyester ripstop with a DWR (durable water repellent) finish to snub wind and moisture. Inside, a soft layer of compressible Thermogreen polyester (90% recycled) insulation adds heat to thwart icebox temperatures. 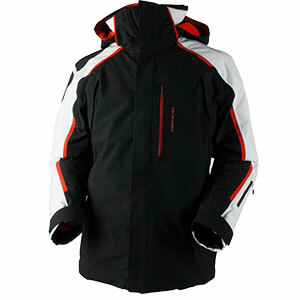 Finer points include articulated arms; pit zips; an easy-gliding liner; a zip-off powder skirt (with webbing loop that attaches to any Patagonia snow pants); a helmet-compatible hood with a single-hand adjustment; zippered pockets, including two handwarmers, one chest pocket, an interior media pocket with cable routing and one internal stash. There's also an internal drop-in for gloves and goggles and an embedded RECCO avalanche rescue reflector. 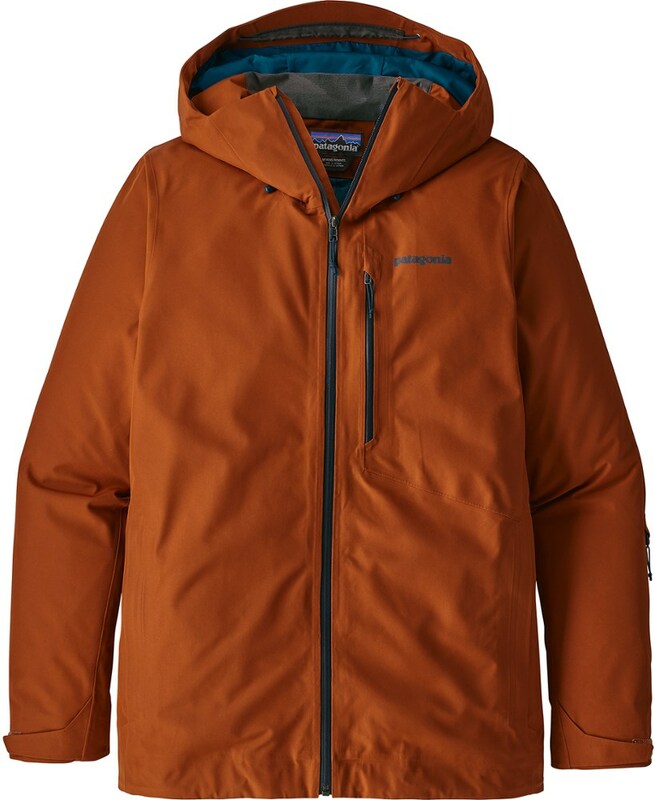 In conditions that might otherwise make your teeth chatter, the Patagonia Rubicon insulated jacket comes to the rescue with eco-friendly Thermogreen insulation that converts cold days into snow days. 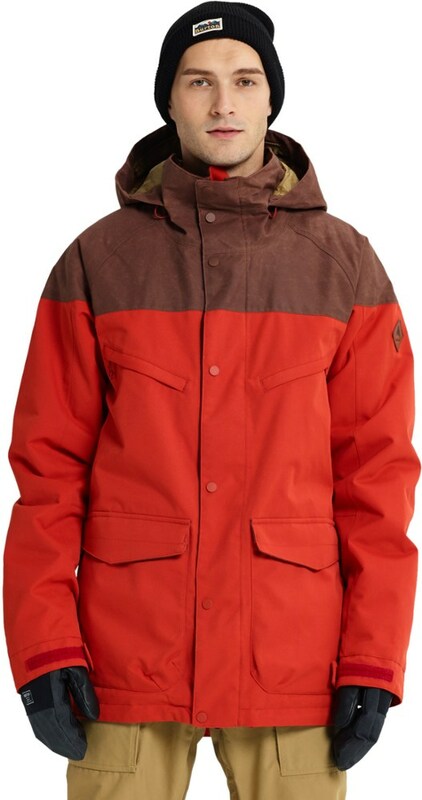 When old man winter dumps a few feet of blower pow and the temperatures get borderline nasty, grab your Patagonia Rubicon Rider Jacket and enjoy winter's bounty. 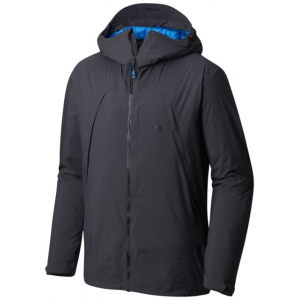 The insulated Rubicon Jacket comes complete with Patagonia's Thermogreen synthetic insulation for days when the cost of all that light, dry powder is frigid temperatures. 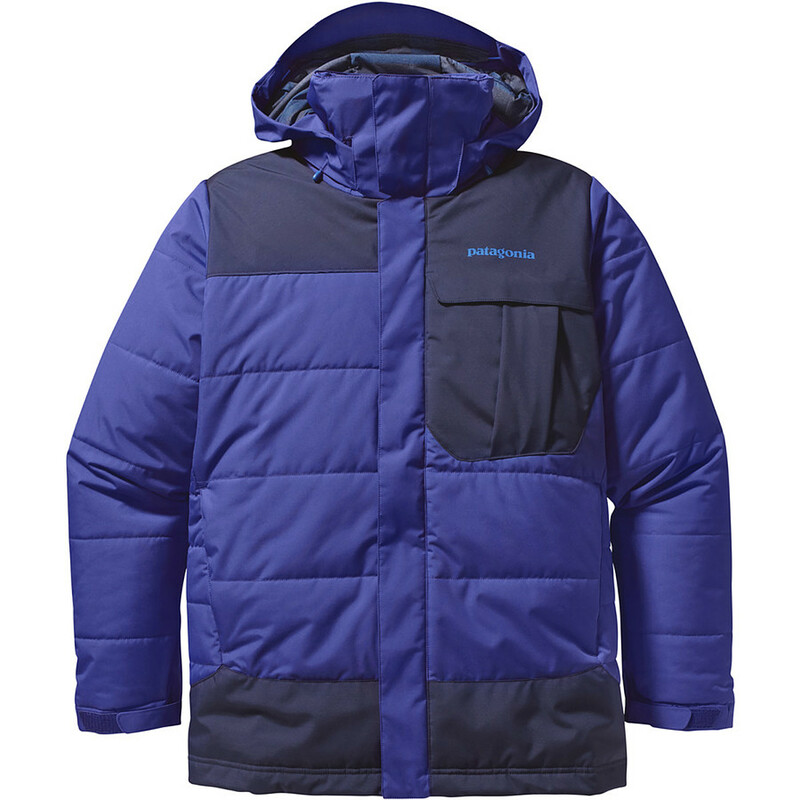 Patagonia designed the Rubicon Rider jacket with a two-layer ripstop polyester shell to increase storm performance and protect from abrasion and a DWR finish to shed light rain and snow.The helmet-compatible, adjustable hood locks in warmth and features soft microfleece panels at the back of the neck and chin. Patagonia also equipped the Rubicon with a sleek, low-profile powder skirt that stays in place whether secured or not. The powder skirt features a loop of nylon webbing that connects to any compatible Patagonia Snow pants to form a single powder barrier. 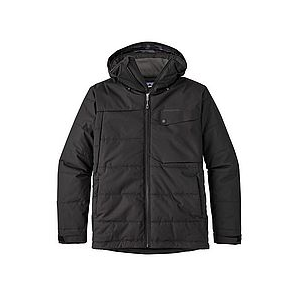 The Rubicon jacket's fit is relaxed for easy layering. A slew of pockets keep your stuff (everything from climbing skins to your MP3 player) safe and secure while you lap the chair or a favorite backcountry shot, and zippered underarm vents make it easy to dump heat when you need to. Patagonia finished off the Rubicon Rider with a Recco reflector, which makes rescue easier if you're involved in an in-bounds avalanche.